22°C, light wind and very bright sun. First expedition of the season. Managing it was saner this year because we split the groups so we took only 35 at a time. Last year, we had 95 kids and although there were more staff, we’re still only 4 leaders (the others are supervisors). There were several nights when we got to bed well after midnight. One well after 02.30am. Alarms were set for 6- that was hard. I grabbed a kip in the afternoon knowing another late one was coming. Perfect weather and manageable numbers didn’t prevent the kids grumbling, however. Oh dear, never mind. Half of the walking was in a forest and the other- gravelly scrub. Forest navigation is tricky for anybody, but the groups were ingenious when finding ways to get lost. Most often, they would head off and find themselves back at a previous checkpoint having created an unintended circular route. You can see it happening, the shoulders sink and hands are thrown down in a gesture of hopelessness. 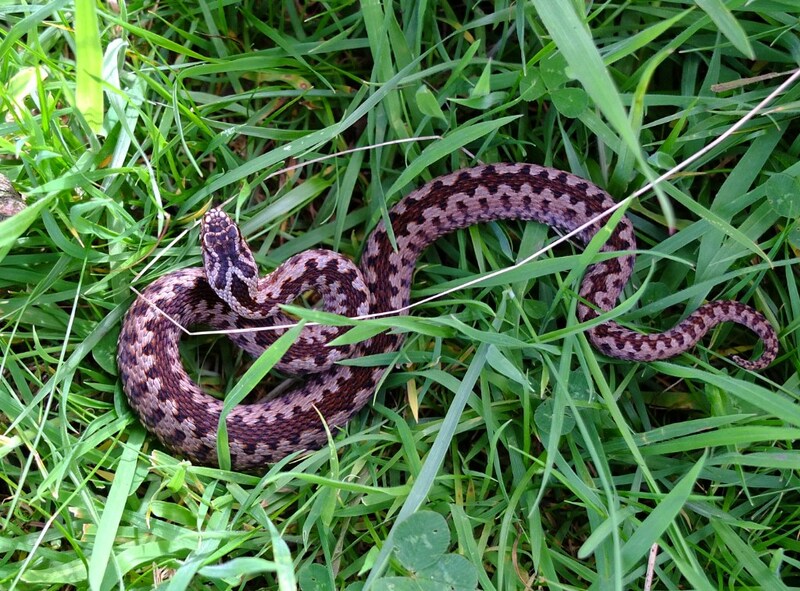 Cannock Chase is renowned for adders. Carl and I spotted one in the grass so I tried to photograph it. The first pictures missed so Carl blocked it’s path with a boot. It arched back like this and I got the shot. A split second later, it struck his boot with a bite. One angry snake. Good that it hit boot because they are capable to getting through trouser fabric. Carl has a few serious allergies, so it was good not to find another to add to his list. It would be typical that he didn’t have his epi pen. This entry was posted in DofE, Work and tagged DofE Bronze, leading. Bookmark the permalink.